Amazon announced plans for a new fulfillment center in Washington. While the Spokane facility will be the first in eastern Washington, the company employs 50,000 people in the state, home to its headquarters. The over 600,000-square-foot fulfillment center will be used to fulfill such items as games, housewares, school supplies, and pet toys. Employees will work alongside Amazon Robotics to pick, pack and ship items to customers, according to the company. Amazon.com, Inc. today announced plans to open in Spokane its first fulfillment center in Eastern Washington, creating more than 1,500 full-time jobs with benefits starting on day one. Amazon currently employs more than 50,000 people across the state at its headquarters in Seattle and facilities supporting customer fulfillment in DuPont, Kent and Sumner. The company has invested more than $37 billion in Washington State, including infrastructure and compensation to its teams from 2011-2017. 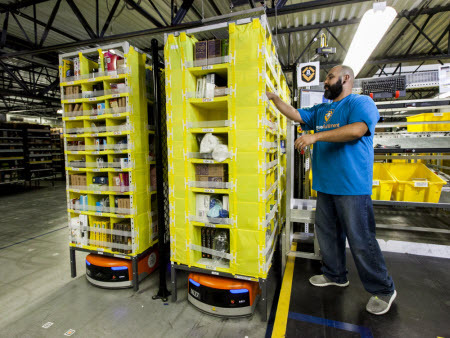 Amazon employees at the more than 600,000-square-foot fulfillment center will work alongside Amazon Robotics to pick, pack and ship items to customers such as games, housewares, school supplies and pet toys. Full-time employees at Amazon receive competitive hourly wages and a comprehensive benefits package including health insurance, disability insurance, 401(k) and company stock awards starting on day one. The company also offers up to 20 weeks of paid parental leave and innovative benefits such as Leave Share and Ramp Back, which give new parents flexibility with their growing families. 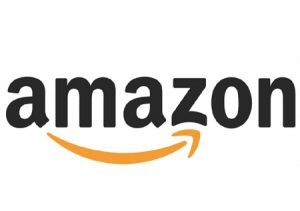 Amazon offers full-time employees innovative programs like Career Choice, where the company will pre-pay up to 95 percent of tuition for courses related to in-demand fields, regardless of whether the skills are relevant to a career at Amazon. Since the program’s launch, over 16,000 employees have pursued degrees in game design and visual communications, nursing, IT programming and radiology, to name a few. The project is being developed by Trammell Crow Company and was made possible by Greater Spokane Incorporated, The West Plains/Airport Public Development Authority, Spokane County and Spokane International Airport. Smart, soon-to-be ex-ebay stockholders will come to realize the glaring distinctions between ebay and Amazon. 1) ebay is all about unfulfilled future “ideas” that add ZERO to to its’ current bottom line. Amazon is all about current, REAL warehouses that fulfill orders. 2) ebay employs contract Indian programmers, whose efforts are reflected in Thursday’s stock price. Amazon employs full-time American workers, who have benefits, including a 401k. Amazon Prime Members in many cases can get next day delivery with ZERO shipping.